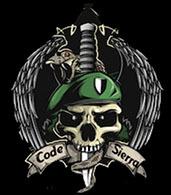 As Code "Sierra" have reached 10 awesome members - we will do small contest for their members with great winning prize. This contest is for cS| members only and it will happen from 07.04.2019 till 14.04.2019. Rules are quite easy: Member who get`s the most Points in defeated clan war`s against other clans in at least 3vs3 battles win`s the grand prize 10 euro Premium at FFS. Last edited by Soldie[R]; 06-04-2019 at 00:50. Finally one week is over and we got our winner! 1st place - @NIRVANA! with 37 points and winning of our first event 10 euro premium award. Best thing is, that he is willing to share 5 euros with hes teammate Erhan! In 2nd place we got @Erhan_ with 19 points and 3rd place @Hardy with 14 points, better luck next time. Overall we got great week with a lot of winnings, good job! Last edited by Soldie[R]; 15-04-2019 at 18:43.